to provident fund claims. The EPFO has nearly six crore subscribers and manages a corpus of about Rs. 10 lakh crore. In a circular dated April 13, EPFO said offline claims will also be accepted in all cases. 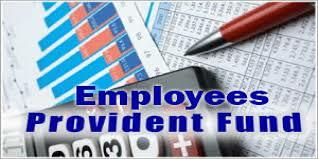 EPFO subscribers have the option of filing online as well as manual claims for provident fund withdrawals. “In case the amount of claim settlement is above Rs. 10 lacs for PF claims and Rs. 5 lacs in respect of EPS withdrawal claims, the claim form must be accepted through online mode only,” the retirement fund body said in a circular in February. But in the April 13 circular, EPFO said that this rule will be kept in abeyance. “Considering the grievances raised by members, this stipulation will be kept in abeyance so that offline claims will also be accepted in all cases,” EPFO said in the April 13 circular. EPFO, in the April 13 circular, also said that for more security, “claims received online from claimants will be sent online to employers for further verification, only after which the claim will be settled”. The employer, according to the EPFO, has to return the claim, which has been filed online, within three days to the EPFO office, either accepting or rejecting the claim. EFPO members with authenticated Aadhaar and bank details seeded against their UAN (Universal Account Number) can submit their claims online. A UAN acts as an umbrella for the multiple member IDs allotted to an individual by different establishments. 1) For submitting a withdrawal claim online, subscribers have to first log into EPFO’s member interface using UAN credentials. 2) Select the relevant claim by clicking on the ‘Online Services’ tab. 3) EPFO subscribers can track their claim requests online as well. For this, they can click on the Online Services tab and then ‘Track Claim Status’.